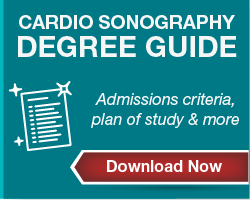 Earn your degree from NMC's cardiovascular sonography program in just 21 months. A cardiovascular sonographer aids physicians in the diagnosis and treatment of disorders affecting the cardiovascular system. Using ultrasound and other technology, sonographers collect and evaluate images of the heart, the heart valves and related blood vessels. Cardiovascular sonographers also evaluate, analyze and record information related to blood vessel anatomy and blood flow of the vessels. Cardiovascular sonographers work closely with patients. People who choose this career find it rewarding because they are helping others - and because they can make a good living doing it. Students are able to sit for adult echocardiography and vascular technology examinations administered by the American Registry of Diagnostic Medical Sonographers (ARDMS). According to the Bureau of Labor Statistics (BLS), diagnostic medical sonographers (including cardiovasular sonographers, cardiovascular technologists/technicians and vascular technologists) will have a much-faster-than-average growth rate of about 24 percent from 2014 to 2024. 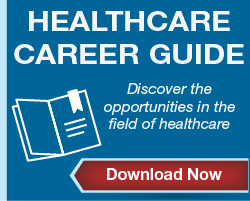 Salary ranges vary by state, experience level and type of healthcare facility. The BLS reported that the national median salary in May 2016 for diagnostic medical sonographers (including cardiovasular sonographers, cardiovascular technologists/technicians and vascular technologists) was about $64,280 annually.